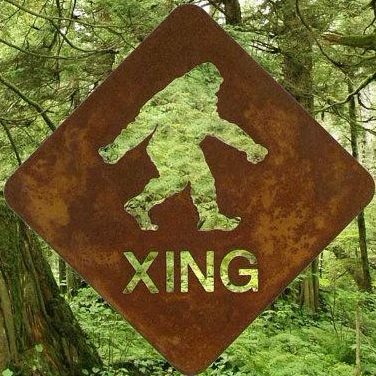 As I move forward in this walk with the Sasquatch people one thing has become abundantly clear. There is a vast network of enlightened beings working behind the scenes to bring those that are ready to a higher state of consciousness. These include the forest people and many benevolent Star nations people, working in conjunction with each other for the common goal. About a year into my journey I experienced an ephifamy that forever changed my life. At the time I had a strong connection to a female member of my local clan, Rahjasay, daughter of Arrrie the clan leader. On one amazing day I was engulfed with the most beautiful floral scent, that literally burned my eyes and throat. Randy Brisson and another friend were also there. Randy also smelt it, but to a lesser degree, while our other friend did not. I knew it was Rahj and when i remarked to Randy about how strong it was he just smiled a knowing smile. My connection to her was growing. Shortly thereafter I was returning from a modest hike from a favorite haunt when i heard rustling in the bush to my immediate right. I instantly knew it was Rahj and what happened next advanced me to a higher state of knowing. I was hit up with what i call the love zap. It was the most beautiful feeling of connection. I knew i was an eternal being that had lived many lives and that everything was connected, the rocks, the animals, the trees, literally everything made up the whole, the circle, all one/all connected. It was the first and perhaps my most powerful lesson relating to this universal truth. Not only did i know it as fact I also felt it deep within my very being. It was a deeper feeling of love than anything i had ever experienced to date and remains as such. There was also a great download of information associated with it, an instant knowing. I was weeping openly with the beauty and intensity of the moment. On my drive home i recall repeating “oh my oh my” for a good 20 plus minutes. I am forever grateful for the trust bestowed upon me and I will continue to speak this truth moving forward. It’s the least I can do. I recently had a similar floral scent experience….it was massive. I wonder if this is related? Thanks for this story, I enjoyed it entirely.